One of the (mixed) blessings of being a published author is that other aspiring authors send you manuscripts to review (with the hope I’ll promote them). I try to respond when possible, but even then I never promise to recommend a book without first reading it; and most of the time, I don’t. But then every once in a while a little gem comes along. Such is Willing to Buy: A Questioning Framework for Effective Closing, by Dan Schultheis and Phil Perkins. The authors don’t have a big publisher behind them, nor a sophisticated social media campaign. What they do have going for them is a very good little book that gets a few important things very right. I was so pleased to have been given the chance to see this book in its infancy that I agreed to write the forward to it. And since the book has just been published, I’d like to share that forward with you. Do yourself (and the authors) a favor: check it out. In Willing to Buy, Dan Schultheis and Phil Perkins have staked out a small but important piece of territory in the sales kingdom, and have brought to bear a powerful searchlight. The book illuminates a lot more than just the nominal area of focus. The area this book focuses on is the qualification and disqualification of prospects. While the authors touch on other parts of sales – presentations, lead generation, pricing – the focus is on one key aspect, namely: if you can better identify the ‘dry holes,’ you’ll be able to spend more time and effort on sales that are likely to produce results. But if that’s all this book said, it would be indistinguishable from a hundred other arguments in favor of sales efficiency – arguments that focus on discipline, metrics, systems and processes, and screening algorithms. However, this book goes two steps further. The first Step Further is a carefully defined, holistic framework for thinking about the issue. The framework is built around the idea of a customer’s Willingness to Buy. It has Four Pillars, each of them eminently commonsensical and leading to rich questions. In short, it makes a great deal of sense, and leads to sensible conversations. It has muscle and brain, not just analytical rigor. The book is largely about exploring and explaining those Four Pillars. But I want to focus on the Second Step Further. Because this book isn’t your typical one-sided, self-aggrandizing, greed-feeding sales book. This book comes at things from a far better perspective – the perspective that sales is a joint activity. I’ve always believed in my own work on integrating sales and trust that the best sales are those which are first and foremost of benefit to the customer, and only then also of benefit to the seller. 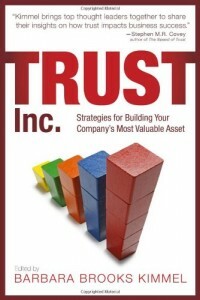 Most sales books (and most salespeople) approach sales from the zero-sum point of view, the competitive strategy point of view, in which one plus one always equals something very close to two, and selling is about transferring funds from the wallet of the buyer to the wallet of the seller. It is precisely this attitude which has led to such a bad reputation for the field of sales. Instead, Schultheis and Perkins recognize throughout the book that the interests of buyer and seller are far more intertwined than in opposition; a great sale is one that benefits both parties. Further, the authors are quite right that an educated buyer is going to make a better decision – and a better decision is in everyone’s best interest. Almost in passing, Schultheis makes a great point: sellers almost always have more experience selling than buyers have experience in buying. A “zero-sum” seller views this as an opportunity to do end-runs around a hapless buyer. But a seller using the Willingness to Buy approach will view this as an opportunity to add value to the buyer. The payoff of the Willing to Buy approach is not that the number of dry holes is pared, or that the investment in lost sales is reduced. Instead, the payoff is that buyers are given the wherewithal to make intelligent buying decisions. In many of those cases, using this process helps the buyer sharpen the internal case for purchase – and it follows, with great predictability, that buyers will disproportionally give the sale to the seller who helped sharpen the case. But that’s not all. Sometimes the clarification of the buyers Willingness to Buy results in the realization that the buyer is, in fact, not ready to buy, for any of dozens of reasons. Contrary to popular sales belief, this is not a bad thing – this is a thing to be proud of and even grateful for. You might ask, how can losing a sale be a good thing? Well, there is the narrow efficiency argument; the sooner you figure out a non-sale the sooner you can stop investing in it. But the more important reason is by helping a buyer to get to that position, you have created trust. By honestly having discussions with the buyer about whether or not this is a good buy, a seller positions him or herself for the future – not only with this buyer, but with any other buyer in that company to whom Buyer 1 might speak; or any buyer outside the company to whom Buyer 1 might refer you. 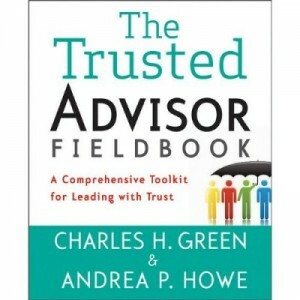 There are not a great deal of salespeople who develop a reputation as being trusted advisors – but for those who do, this is a great way to get there. Help your customers make better decisions, for their sake. If you do so, you will get more than your share of the sales – but they will come about as a byproduct, a collateral benefit, and not as a goal. By helping buyers understand their own Willingness to Buy, you first help them, which in turn helps you. The seller is the experienced party in the buy-sell relationship; to borrow an air travel metaphor, it is incumbent on us to give the oxygen mask first to the buyer, before using it ourselves. That way everyone has a safer flight.